Cathy Bell studied English and Medieval Literature at Cambridge, and undertook postgraduate vocal studies at Birmingham Conservatoire. 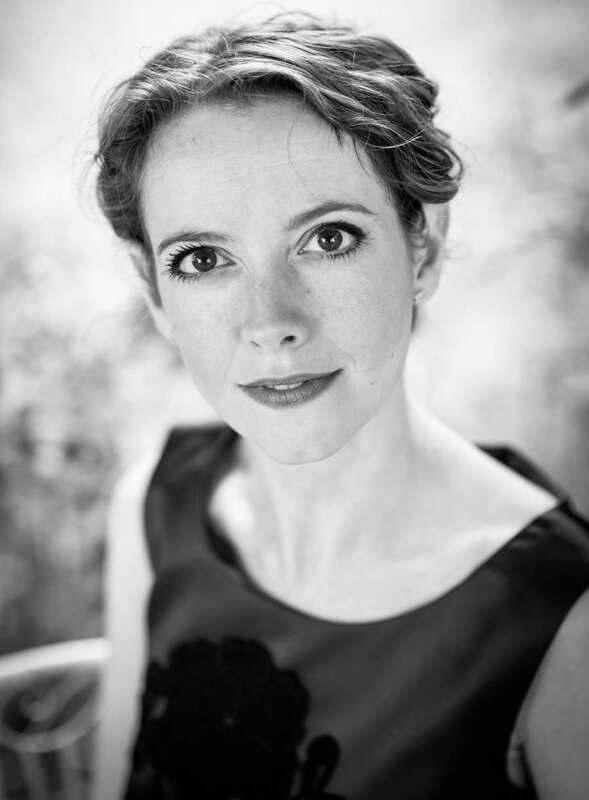 Since moving to London in 2009 she has established a varied career in opera, ensemble and particularly oratorio work, coming to notice for the innate musicality and sensitivity to text that she brings to every performance. Recent highlights include the role of Venus in Pepusch Venus and Adonis for the Valletta International Baroque Festival, and Second Witch in the Academy of Ancient Music's highly acclaimed Dido and Aeneas at the Barbican. Cathy is an experienced and accomplished soloist on the oratorio platform. She has performed much of the standard concert repertoire for the alto voice, at venues including the Royal Festival Hall, Cadogan Hall, Southwell Minster, Wells Cathedral, Bath Abbey, Birmingham Symphony Hall, Nottingham Albert Hall, and St Magnus Cathedral Orkney. Recent highlights include the Rachmaninoff Vespers with groups including Britten Sinfonia, Sonoro and the Oxford Bach Choir; Bach Mass in B minor with Nottingham Harmonic Choir and Cantemus; Mendelssohn Elijah with the Bach Choir; and Bach St John Passion with Leicester Bach Choir and at the Leith Hill Musical Festival. As a low mezzo Cathy enjoys singing Handel’s ever-popular Messiah in venues across the UK, but she also loves exploring more esoteric repertoire, and has made a particular specialism of neglected works from the Italian baroque such as Alessandro Scarlatti’s Salve Regina and Vivaldi’s Introduzione e Gloria RV 588, Magnificat and Dixit Dominus. In 2014 Cathy was the first singer to be awarded a place on the Handel House Talent Scheme. While a member of the scheme she gave recitals at venues including the Handel House, St George’s Hanover Square and the Wallace Collection; developed and performed a lecture recital on Handel’s London years; sang in masterclasses with Mark Padmore and Laurence Cummings; and was the singing leader for several workshops and education projects. Her principal focus was on works by Handel, Purcell, Vivaldi and Alessandro Scarlatti, but she also collaborated with Handel House composers-in-residence and participated in composer workshops sponsored by the Royal National Institute of Blind People. Since graduating from the scheme in 2015 she has been invited back to the Handel House as a performer and workshop co-leader, and has continued to develop the chamber music partnerships which she forged with her instrumentalist colleagues. Cathy is as comfortable on the operatic stage as the concert platform. Notable highlights include the title role in Carmen for Barefoot Opera; Arsamenes (Handel Xerxes) for Hampstead Garden Opera; Russian Nanny (Britten Death in Venice) for Garsington Opera; and Third Lady/Third Boy (Mozart Die Zauberflöte) for Diva Opera and the Palestine Mozart Festival. Chorus work includes contracts at Scottish Opera, Garsington, Grange Park, Bergen Nasjonale Opera and the festivals in Aix-en-Provence and Beijing. Cathy has a strong commitment to contemporary music and has taken principal roles in new operas at the Tête à Tête and Grimeborn festivals, recorded a new work by Will Todd for an education project at Opera North, and worked on the development of a new piece for WNO MAX. Cathy also works regularly in ensembles such as the BBC Singers, the Academy of Ancient Music, Philharmonia Voices, Sonoro, the Dunedin Consort, the Clerks' Group and EXAUDI, and sings for film sessions with groups including London Voices, the Pinewood Singers, Synergy Vocals, Apollo Voices and RSVP Voices. Cathy lives in London with her husband Jon Stainsby, also a singer, and their energetic daughter Rosie, born in 2016. Concert promoters: please contact Cathy for an up-to-date version of this biography suitable for inclusion in concert programmes. Bell took the chance to show off her beautiful, warm low notes right from the start, as well as making the most of the snappy passages of coloratura and fluid runs up and down the scales.